Our Program is dedicated to providing students in grades 1-10 with an excellent opportunity to understand their catholic faith through formal classes, community activities, and attending mass. 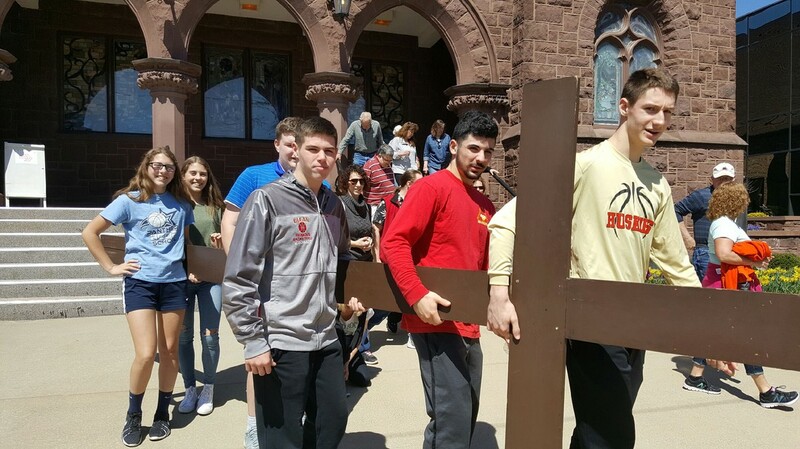 Students build upon a core foundation of catholic values and participate in a variety of activities that allows the students to experience their faith as a life long journey. Our program is coordinated by Director of Religious Education Ann Sorokes with over 20 years of service to our parish. to go anywhere to preach, unless our walking is our preaching".